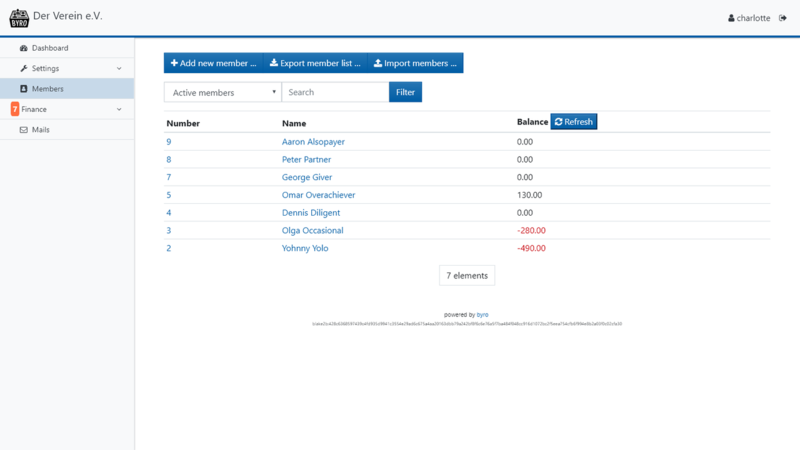 byro is a membership administration tool best suited to small and medium sized clubs/NGOs/associations of all kinds, with a focus on the DACH region. byro is heavily plugin based to help fit it to different requirements in different situations and countries. Main member list, showing account balances, negative balances in red.